There were about one and a quarter million American servicemen stationed throughout the West Country divided into divisions and it was part of the 29th Division that was stationed in Ivybridge, with a further gas or fuel supply depot at Wrangaton. In May, 1943, the GIs of the 116th Infantry Regiment came to Ivybridge as part of Operation Bolero, a long-range plan for transferring and then accommodating almost 2 million American servicemen in Britain in the run-up to an invasion of Europe, which commanders had now set for the summer of 1944. The 116th was made up of men from many places in the US but each Company still retained a significant number of soldiers from the National Guard unit in Virginia. The four companies of the 29th Division of the 1st Battalion were originally from: Co A – Bedford (the Bedford Boys), Co B – Lynchburg, Co C – Harrisonburg and Co D – Roanoke. The 29th Division was ordered to vacate Tidworth in Wiltshire and move to a new barracks in Ivybridge. The 29th Division, the second US Division to arrive in England, marched from Tidworth to Devon and Cornwall as part of Exercise Hanover. The 1st Battalion of the 116th Regiment was the only infantry unit stationed at Ivybridge, under the command of Regiment Commander Colonel Charles Draper Canham. The 1st Battalion remained in Ivybridge for approximately a year while it trained and prepared for the assault on Hitler’s Fortress Europe. The 29th Infantry Division (29th I.D. 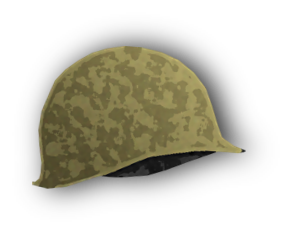 ), also known as the “Blue and Gray”, is an infantry division of the United States Army. The 29th Division has existed continuously since 1917 as a part of the National Guard. As the division was composed of men from states that had units that fought for both the North and South during the Civil War, it was nicknamed the “Blue and Gray” division, after the blue uniforms of the Union and the grey uniforms of the Confederate armies during the American Civil War. The American camp in Ivybridge was located at Uphill on Exeter Road. The first Nissen huts at Uphill Camp were only a few yards off the road behind the wire perimeter fence. Each hut was capable of housing twenty-four men. There were twelve (double) bunks, six down each side. The whole camp was of the same construction: sleeping huts, the cinema, canteen, workshops and the jail. B and C Companies were in the first field (MacAndrews Field) beside the road then further up the slope, beyond the hawthorn hedge were A and D Companies: each company eventually consisted of some 200 men. These corrugated tin hut barracks were noisy and, with the heavy south-west rain hammering down on the corrugated metal roofs, many of the men couldn’t stand the racket! The 1st Battalion, together with the other smaller units, almost doubled the population of the town and businesses were booming, not least the pubs. Ivybridge was like an alcoholic oasis with eight pubs. Vera Luckham was the landlady of the Sportsman’s Inn, the nearest pub to the camp. She encouraged the officers to stop there declaring “the troublesome ones can go elsewhere”. Thus the ranks learned to pass the Sportsman’s and go to the London Hotel or over the river to one of the other hostelries, all of which became very popular with the enlisted men. With so many choices it was inevitable that few of the troops escaped a visit to the ‘hutch’. The hutch lay opposite the guard room and jail, close to the Camp entrance, tucked away behind the sentry box. This was where the military police kept the drunks they rounded up in town. The American men were kept very busy, whether training or enjoying their leisure hours. There were sports facilities of all kinds both inside and out to keep them fit. There were at least two gymnasiums with games pitches available outside. The American’s updated the swimming pool on the River Erme and not only used this for leisure but it was used as part of their training route. After leaving the camp they made their way up into Longtimber Woods and along the river. They then climbed over camouflage netting, descending into the swimming pool. After wading through the water the soaked men then had to tackle the manoeuvres over the moor. Local boys would watch the men training in this area. The cinema was popular and local children were invited to join the troops, giving everyone a chance to meet one another. During the Christmas period of 1943, they arranged several Christmas parties for the children where sweets and gifts were handed out. Invitations were extended to children from the surrounding areas so no child missed out. The Ivybridge Heritage & Archives Group publication “Ivybridge and the Americans during WW2” is now on sale from the Tourist Information Desk at The Watermark in Ivybridge. Priced at £3.00, this 28 page booklet provides interesting details of the American servicemen billeted in Ivybridge in the build up to D-Day. We are indebted to Noel Blackler for a wealth of information and images regarding Uphill camp and daily life of the American servicemen whilst in Ivybridge. His hand-written ‘Memoirs of an Ivybridge Paper Boy’ were invaluable in presenting this web page. In 1943, Noel was a nine-year-old boy. His family owned the local newsagents and he and his two brothers, Derek and Colin, delivered newspapers to the American Camp at Uphill twice a day. Noel delivered papers to the camp for two years. Noel appears in the above photograph. He is the smart young man on the left during Salute the Soldier Week held in Ivybridge during May 1944. Amongst the ranks of American servicemen were the soldiers of Company A, 116th Infantry Regiment of the 29th Infantry Division. These would later come to be known as the Bedford Boys and were stationed in Ivybridge from 29 May 1943. More than half a century later the little town of Bedford, Virginia, was selected as the site of the National D-Day Memorial in the United States because of what happened to A Company during Operation Overlord. Bedford had suffered the highest per capita loss of any American community on D-Day. In 2004 Ivybridge signed a friendship Treaty with the small town of Bedford, when a group of 50 of its residents visited Ivybridge for the 60th anniversary of the D-Day landings. The formation of the Ivybridge – Bedford Alliance strives to preserve the special relationship between these two towns as well as remembering their historic bonds. Located in MacAndrews Field, now a recreational area, but at the time part of Uphill Camp, are two handmade oak memorial benches in memory of the Bedford Boys. 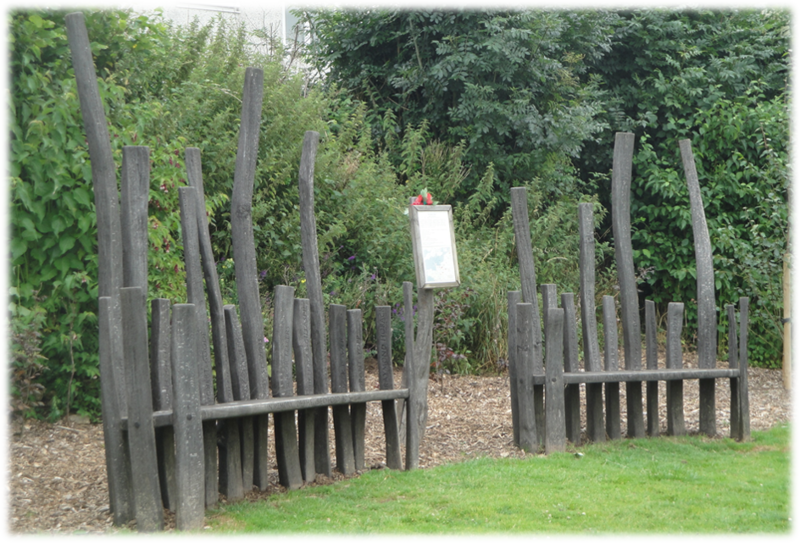 These memorial benches were organised by the Friends of MacAndrews Field, a community group dedicated to maintaining the site for recreational and environmental purposes. A series of photographs, recording the construction of these striking benches in 2014, can be found on the Facebook page of the Friends of MacAndrews Field. Ivybridge also has its own war memorial in honour of the American servicemen who were based in the town during the war. This memorial is located at Harford Road car park. The Inscription on this memorial reads: Dedicated to all the American Servicemen based in Ivybridge 1943-1944 particularly the 1st Battalion 116th Infantry Regiment who made many friends with local residents. Sadly many of these men were to die on, or after, D-Day the 6th June 1944. The 1st Battalion, together with the other smaller units, almost doubled the population of the town and businesses were booming, not least the pubs. Ivybridge was like an alcoholic oasis with eight pubs.Vera Luckham was the landlady of the Sportsman’s Inn, the nearest pub to the camp. She encouraged the officers to stop there declaring “the troublesome ones can go elsewhere”. Thus the ranks learned to pass the Sportsman’s and go to the London Hotel or over the river to one of the other hostelries, all of which became very popular with the enlisted men.